Anyone who can remember the words in the song “To Know Him is to Love Him” from the 50’s, would use it to describe Ice Water formally of Nubian Mob. While visiting Ms. Peggy’s estate he enjoyed writing and sing as he walked the trails enjoying the wild life. 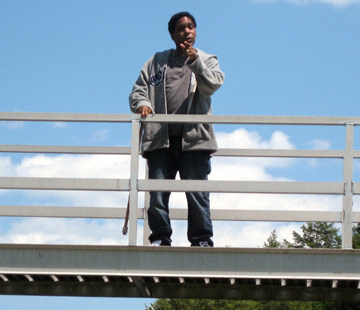 Ice Water can pop lyrics off the top of his head and you rarely see him without a pen and pad in hand. It shouldn’t come as a surprise to any of us that he knows what platinum sounds like. His song “This is How We Blow” won over Ms. Peggy and she signed Ice Water on the spot to a Legally Loaded Distribution deal. Ice Water has had his share of a mess up Entertainment Industry yet it never stopped his love for the Game. When he sings he makes your heart zing. 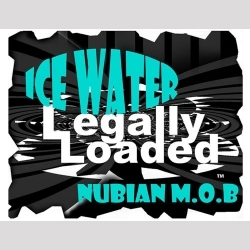 Anyone needing distribution for their music/books/products should hit up Ice Water who can distribute any product you may have through Get Legally Loaded.